To keep your changes to the indices writer, you must stop or restart the indexing topology only through Ambari. If you start or stop the indices writer through REST, the writer resets its settings to the Elasticsearch default settings. Open Ambari Web using a web browser. Point your browser to http://<your.ambari.server>:8080, where <your.ambari.server> is the name of your ambari server host. For example, a default Ambari server host is located at http://c6401.ambari.apache.org:8080. For a new cluster, the Ambari install wizard displays a Welcome page from which you launch the Ambari Install wizard. For an existing cluster, select Choose Services from the Actions/Add Service Wizard menu and skip to Step 7. From the Ambari Welcome page, choose Launch Install Wizard. In Name your cluster, type a name for the cluster you want to create, and then choose Next. Avoid white spaces or special characters in the name. 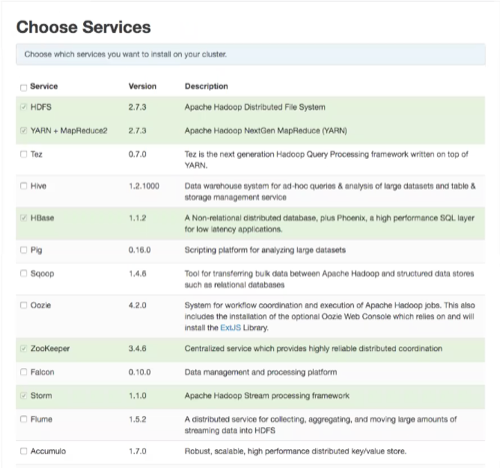 Select the HDP stack you want to run. Enter the set up information for which the install wizard prompts you. You need to supply the fully qualified domain name (FQDN) of each of your hosts. The wizard also needs to access the private key file you created in Set Up Password-less SSH. Using the host names and key file information, the wizard can locate, access, and interact securely with all hosts in the cluster. Use the Target Hosts text box to enter your list of host names, one per line. If you are deploying on EC2, use the internal Private DNS host names. If you are using Internet Explorer 9, the Choose File button might not appear. Use the text box to cut and paste your private key manually. Fill in the user name for the SSH key you have selected. If you do not want to use root , you must provide the user name for an account that can execute sudo without entering a password. Click Register and Confirm to continue. Ambari displays the Choose Services dialog box that lists the services that Ambari can install into the cluster. 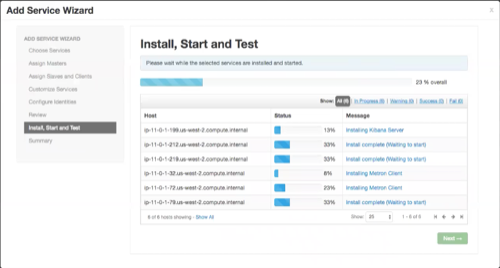 Choose the services to install onto the cluster, and then click Next. Ambari displays the Assign Masters window. 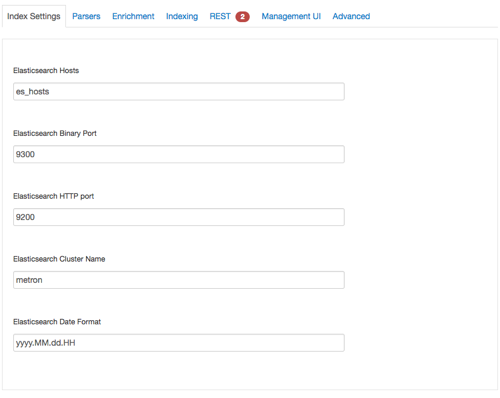 Use the Assign Masters window to assign the Master components to the appropriate hosts in your cluster. If Ambari detects any errors in your master component assignments, it will indicate the error in red. To change the host assignment for a service, select a host name from the drop-down menu for that service. When you are satisfied with the assignments, click Next. Ambar displays the Assign Slaves and Clients window. 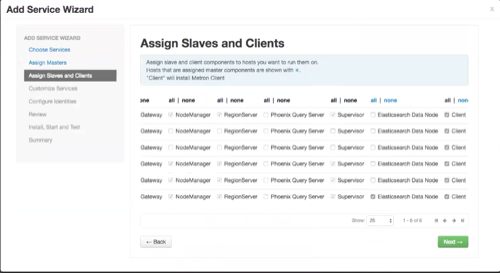 Use the Assign Slaves and Clients window to assign cluster nodes (DataNodes, NodeManagers, and RegionServers) to run with worker processes such as Elasticsearch. If a host has an asterisk next to it, that host is also running one or more master components. Hover your mouse over the asterisk to see which master components are on that host. Select a minimum of one Elasticsearch data node. The data node cannot be on same host as the master. Fine-tune your selections by using the check boxes next to specific hosts. Check the Client checkbox for any components that have the Supervisor checkbox checked. When you are satisfied with your assignments, click Next. 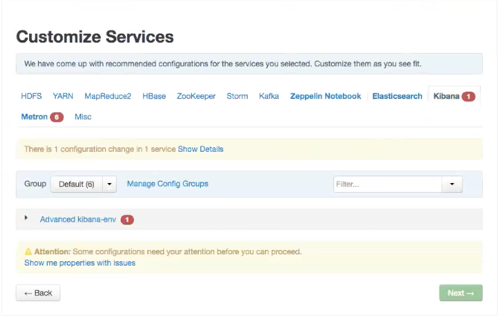 Use the Customize Services window to configure or customize cluster service property settings. Browse through each service tab. Any tab that requires input displays a red badge with the number of properties that need attention. Select each service tab that displays a red badge number and enter the appropriate information. By hovering your cursor over each of the properties, you can see a brief description of what the property does. The number of service tabs shown depends on the services you decided to install in your cluster. Set to the fully-qualified url for the Elasticsearch master: http://es-master-host:9200. 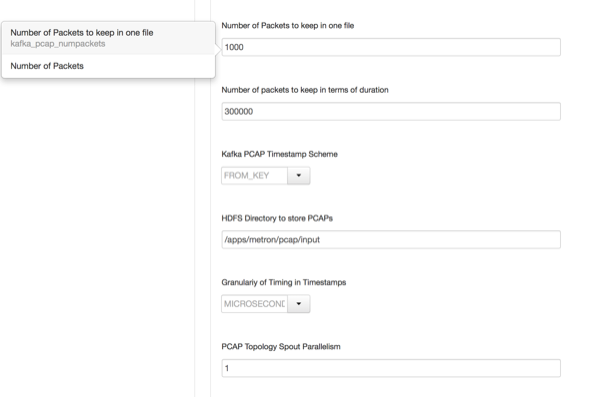 The Metron tab contains a few tabs that contain information that is critical to HCP set up. A comma separated list of Elasticsearch data nodes that you identified in Step 10. You can choose between the following databases for the REST configuration. Most of the fields in the Advanced tab are auto populated and should not be modified. The service account users and groups are available under the Misc tab. These are the operating system accounts the service components will run as. If these users do not exist on your hosts, Ambari will automatically create the users and groups locally on the hosts. If these users already exist, Ambari will use those accounts. Depending on how your environment is configured, you might not allow groupmod or usermod operations. If this is the case, you must be sure all users and groups are already created and be sure to select the Skip group modifications option on the Misc tab. This tells Ambari to not modify group membership for the service users. OPTIONAL: Switch to using LDAP to define access privileges. 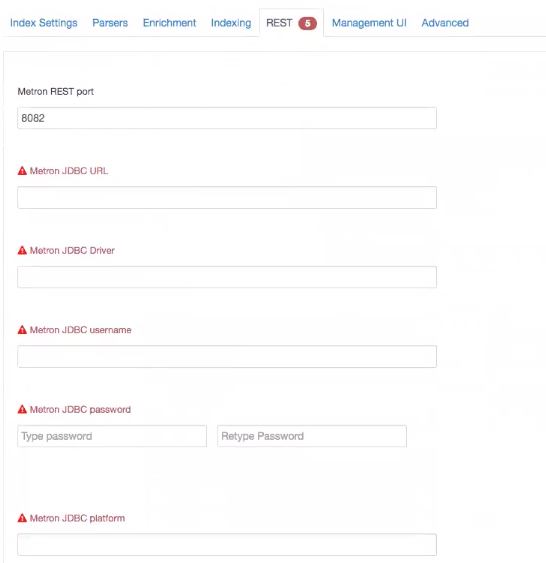 HCP defaults to Java Database Connectivity (JDBC) to define access privileges. You can easily switch to using LDAP. See Switch to LDAP Access Privileges . 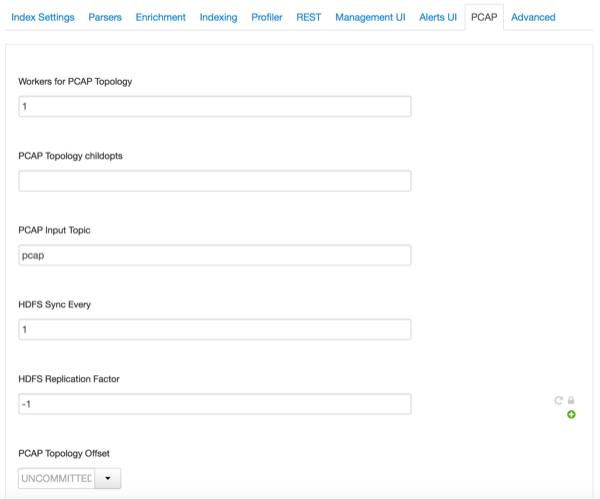 OPTIONAL: Configure the PCAP topology by setting your PCAP properties in the PCAP tab. Check the assignments displayed by Ambari to ensure that everything is correct, and then click Deploy. If you need to make changes, use the left navigation bar to return to the appropriate screen. The progress of the install displays on the screen. Ambari installs, starts, and runs a simple test on each component. Overall status of the process displays in a progress bar at the top of the screen and host-by-host status displays in the main section. Do not refresh your browser during this process. Refreshing the browser might interrupt the progress indicators. OPTIONAL: To see specific information on what tasks have been completed per host, click the link in the Message column for the appropriate host. In the Tasks pop-up, click the individual task to see the related log files. You can select filter conditions by using the Show drop-down list. To see a larger version of the log contents, click the Open icon or, to copy the contents to the clipboard, use the Copy icon.